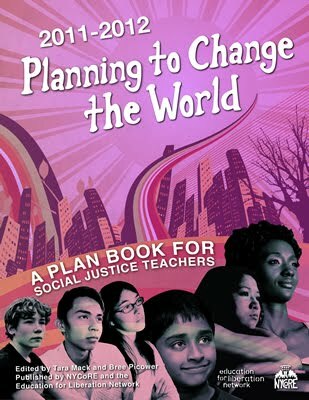 Teachers For Social Justice: #TSJCF16 - the 2016 TSJ Curriculum Fair - Workshop Schedule! #TSJCF16 - the 2016 TSJ Curriculum Fair - Workshop Schedule! Keynote: Mariame Kaba, Project NIA. Mariame Kaba is an organizer, educator, curator, and founding director of Project NIA, a grassroots organization that works to end youth incarceration. She has co-founded several organizations including the Chicago Freedom School and the Chicago Taskforce on Violence Against Girls and Young Women. Mariame is currently organizing with Survived and Punished to address the criminalization of survivors of violence. Mariame is an abolitionist who is committed to transformative justice. 1. "ODE: Operation Defend Education" -- Poetry Writing Workshops for the Education Struggle(Adam Gottlieb, Diana Zwinak, ODE: Operation Defend Education/Chicago Revolutionary Poets Brigade). 2. Restorative Justice in Schools: Abolishing the Schools to Prison Pipeline. (Jason Ware). 3. Deschooling Ourselves and Liberating Education. (Uplift Community High School Students and Teachers). 4. Education Not Militarization: If Our City/Country Truly Cares About Youth and Stopping Violence, Fund Education. (Arny Stieber, Veterans For Peace - Chicago Chapter). NOTE: This workshop is designed to be a healing and building space for people of Color. 7. Anti-Racist Pedagogy in Early Childhood Education. (Sarah E. Dennis, Ph.D., Loyola University). 8. '63 CPS Boycott: The Legacy of Racial Inequalities in Chicago Public Schools (Rachel Dickson, Kartemquin Films). 12. Understanding and Transforming Whiteness(Naomi Milstein, Chicago Freedom School). 13. The Attacks on Special Education: Know Your Rights and Fight! (Sarah Chambers, Natasha Carlsen, Tammie Vinson, Katie Osgood, Chicago Teachers Union). 15. The Fight to Keep Uptown Affordable and Diverse: A Walking History Tour of Uptown. (Paul Siegel, Northside Action for Justice). 16. "Resisting Federal Efforts to Eradicate Our Culture": Two Oaxacans of La CNTE in Resistance Fighting for Human Rights and Indigenous Curriculum. (Mayem Arellanos Cano, Zapotec Lawyer; Fernando Sobernes Bojorques, Educator). Volunteer to help, email here. We need help with outreach, social media, documentation, setup, cleanup, food serving/cleanup, registration, art and t-shirt making, day-of help, translation (Spanish-English, ASL), and more. Download flyers in color and in black and white!